Medley, FL – All Florida Paper, Inc., a leading South Florida wholesale distribution firm was recently named as a 2012 honoree of the Top 100 Minority Business Awards by the Greater Miami Chamber of Commerce. Each year the Chamber’s Top 100 Minority Business Awards program highlights and celebrates South Florida’s minority business community and their steadfast spirit of entrepreneurship in spite of today’s sometimes turbulent marketplace. The businesses represent a variety of industries and showcase the region’s rich diversity. All Florida Paper is honored be a part of this annual event. All Florida Paper, the product one of South Florida’s brilliant entrepreneurs Armando Caceres, was founded in 1993 to the serve the growing Hispanic business community’s need for better selection and representation with regards to the paper, plastic, and janitorial distribution. In following through with that vision, All Florida Paper has allowed many of South Florida’s businesses the opportunity to focus on their core competencies, grow revenue and boost employee productivity. Sharing the spotlight of the Top 100 Minority Business Awards were several recognizable South Florida companies such as Sushi Maki, Perry Ellis International, and MasTec. Presented by Bank of America, this year’s Top 100 Minority Business Awards had over 400 hundred attendees from every sector of South Florida’s business community. 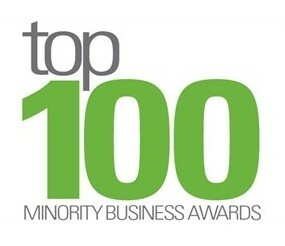 The complete list of 2012 Top 100 Minority Business honorees has been featured in the Miami Herald, South Florida’s most recognizable special publication.